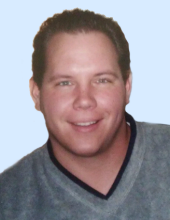 David Isaac Stephenson, age 44, of Walkersville, died Friday, November 2, 2018. Born December 3, 1973 in Frederick, he was the son of Linda A. Miller Stephenson of Walkersville and the late Lynn C. Stephenson. David was a graduate of Linganore High School and he served his two-year mission with the Church of Jesus Christ of Latter-Day Saints as an American Sign Language interpreter. He was a very successful entrepreneur and started his company, WeInterpret.Net in 1996. He was highly skilled as an interpreter. He had a kind heart and was very charitable, willing to share with anyone needing help. Surviving, in addition to his mother, are children Ashlyn Michelle and Caleb Stephenson; sisters, Tauna Faries and husband Gerry of Prince George, VA, Terri Perez and husband Louis of Libertytown; brothers, Earl G. Stephenson and wife Jennifer of Clarksburg, Lynn Kye Stephenson of Fairfield, PA; and numerous aunts, uncles, nieces and nephews. The family will receive friends at The Church of Jesus Christ of Latter-Day Saints, 7255 Ridge Rd., Mt. Airy on Friday, November 9 from 10 – 11 a.m. A funeral service will follow at the church at 11 a.m. Bishop Christopher Safeston will officiate. Interment will be in Linganore Cemetery, Unionville. Memorial contributions may be made to Emerge Inc., 9180 Rumsey Road, Suite D2, Columbia, MD 21045 or emergeinc.org. Emerge Inc. offers supportive living to individuals with developmental, physical and mental health disabilities. To send flowers or a remembrance gift to the family of David I. Stephenson, please visit our Tribute Store. "Email Address" would like to share the life celebration of David I. Stephenson. Click on the "link" to go to share a favorite memory or leave a condolence message for the family.